You may need to provide Polyglot Services Your Personal Information during the course of using some services of the Polyglot Services, for instance, creating a User ID, provide information in Your account while registering on the Website, or provide financial information, viz. your credit card/bank account information while making an online purchase, upload content, participate in any online survey or contest, communicate with Polyglot Services’s customer service by phone, email or otherwise, provide reviews for the content available on the Website. Polyglot Services collects only such Personal Information that Polyglot Services believes to be relevant and is required to understand You or Your interests. Polyglot Services collects Your Personal Information in order to record, support and facilitate Your participation in the activities You select, track Your preferences, to provide You with a customized Website experience, to notify You of any updated information and new activities and other related functions offered by Polyglot Services , keep You informed about latest content available on the Website and other services of Polyglot Services , to assist You with customer service or technical support issues, to follow up with You after Your visit, to otherwise support Your relationship with Polyglot Services or to prevent fraud and unlawful use. In an effort to make our Website effective, certain information may be collected each time you visit the Website. Such information may be stored in server logs. These encrypted statistics do not identify you personally, but provide us the information regarding your visit to the Website and the type of user who is accessing our Website and certain browsing activities by You. This data may include: IP address of Your server from where the Website is being accessed, the type of browser (Internet Explorer, Firefox, Opera, Google Chrome etc. ), the operating system of Your system and the Website You last visited before visiting to our Website. The duration of Your stay on our Website is also stored in the session along with the date and time of your access. These data are used by Polyglot Services to understand the use and number of user visiting the Website. Some of the information related to the Website and Your visit to the Website may be shared by the sponsors, investors, advertisers, developer, strategic business partners of Polyglot Services and some associates in order to enhance and grow our business and the Website but we assure that these information will never include any of Your Personal Informations. This anonymous information is collected through the use of a web beacon, which is industry standard technology used by most major Websites. When You use the Website, Polyglot Services’s servers (which may be hosted by a third party service provider) may collect information indirectly and automatically about Your activities on the Website; for instance by way of cookies. A cookie is a small amount of data that is sent to a user’s browser from a web server and is eventually stored on a user’s computer hard drive. This anonymous information is maintained distinctly and is not linked to the Personal Information You submit to Polyglot Services. We might use some other third party service providers to serve promotional content on our behalf across the internet and sometimes on this Website. They may collect anonymous information about Your visits to our Website, and Your interaction with our products and services. No personally identifiable information is collected or used in this process. They do not know the phone number, address, email address, or any personally identifying information about the user, except your name. Polyglot Services also uses the log file like other website servers which is the standard measures. They include internet protocol (IP) addresses, browser type, internet service provider (ISP), referring/exit pages, platform type, date/time stamp, and number of clicks. We use them to analyse trends, administer the site, track a user’s movement and gather broad demographic information for aggregate use. IP addresses, etc. are not linked to personally identifiable information. Polyglot Services DOES NOT trade or sell Your Personal Information in any manner, except as specified herein, or if express consent is sought from You. Though it might use some of the collected transformed data for the promotional acitivites for the Website. Such data wouldn’t be the personally identifiable information. If it is then kindly reach out to us and we will make sure its taken off the material at the earliest. 13. to respond to judicial process and provide information to law enforcement agencies or in connection with an investigation on matters related to public safety, as permitted by law. You acknowledge that apart from Your Personal Information, if You upload any content on the Website, such content may contain information including Personal Information and the same may be available to the other users of the Website. Polyglot Services will not be liable for the disclosure and dissemination of such Personal Information to any third parties. Polyglot Services may disclose aggregated information about the use of the Website, but it will never contain Personal Information. Polyglot Services does not disclose Personal Information to third parties in the normal course of operations. However, in situations when Polyglot Services is legally obligated to disclose information to the government or other third parties, Polyglot Services will do so. Polyglot Services implements standard measures to protect against unauthorized access to and unlawful interception of Personal Information. However, no internet site can fully eliminate security risks. You are required to submit Your information at the time of making an online purchase on the Website. Polyglot Services uses an online payment gateway that is operated by a third party and the information that You share with Polyglot Services is transferred and shared with such third party payment gateway operator. The said operator may also have access to Your online purchase history/details that You make from the Website. The Website and any email sent to You may also contain/display third-party advertisements and links to other websites or products and services. Polyglot Services does not provide any Personal Information to these third-party websites or agents or advertisers, however Polyglot Services reserves the right to share with You the advertisement mailers on behalf of any other parties. Polyglot Services strives to ensure the security, integrity and privacy of Your Personal Information and to protect Your Personal Information against unauthorized access or unauthorized alteration, disclosure or destruction. For this purpose, Polyglot Services adopts internal reviews of the data collection, storage and processing practices and security measures, including appropriate encryption and physical security measures to guard against unauthorized access to systems where Polyglot Services stores Your personal data. Polyglot Services is not responsible for any breach of security or for any actions of any third parties that receive Your Personal Information. The Website also linked to many other sites and we are not/shall be not responsible for their privacy policies or practices as it is beyond our control. Notwithstanding anything contained in this Policy or elsewhere, Polyglot Services shall not be held responsible for any loss, damage or misuse of Your Personal Information, if such loss, damage or misuse is attributable to any event that is beyond the reasonable control of Polyglot Services. Polyglot Services will use information only in accordance with the Policy under which the information was collected unless we have received explicit authorization. Polyglot Services may disclose any information Polyglot Services may have about You (including Your identity) if Polyglot Services determines that such disclosure is necessary in connection with any investigation or complaint regarding Your use of the Website, or to identify, contact or bring legal action against someone who may be causing injury to or interference with (either intentionally or unintentionally) Polyglot Services rights or property, or the rights or property of users of the Website, including Polyglot Services’s users. 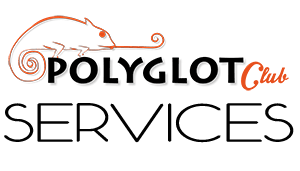 Polyglot Services reserves the right at all times to disclose any information that Polyglot Services deems necessary to comply with any applicable law, regulation, legal process or governmental request. Polyglot Services also may disclose Your information when Polyglot Services determines that applicable law requires or permits such disclosure, including exchanging information with other companies and organizations for fraud protection purposes. You acknowledge and agree that Polyglot Services may preserve any communication by You with Polyglot Services through the Website or any Service, and may also disclose such data if required to do so by law or if Polyglot Services determines that such preservation or disclosure is reasonably necessary to: (1) comply with legal process; (2) enforce this Policy; (3) respond to claims that any such data violates the rights of others; or (4) protect the rights, property or personal safety of Polyglot Services , its employees, users of, or visitors to, the Website, and the public. You can add or update Your Personal Information on a regular basis. When You update information, Polyglot Services will keep a copy of the prior version for its records. Polyglot Services may, if You so choose, send direct advertisement mailers to You at the address given by You which could contain details of the services displayed on Polyglot Services or of any third party not associated with Polyglot Services. You have the option to opt-out of this direct or third party mailer by clicking at the unsubscribed link option attached to e-mail. Polyglot Services respects Your privacy and if You do not want to receive e-mail or other communications from Polyglot Services , For any query or assistance, feel free to Contact Us. If You do not want Polyglot Services to use Personal Information that Polyglot Services to You, for any query or assistance, feel free to Contact Us. The ‘Help’ portion of the toolbar on most browsers will tell You how to prevent Your browser from accepting new cookies, how to have the browser notify You when You receive a new cookie, or how to disable cookies altogether. Further, You can also disable or delete similar data used by browser add-ons, such as Flash cookies, by changing the add-on’s settings or visiting the Website of its manufacturer. However, as cookies allow You to take advantage of some of the Website’s features, some of the Website’s features and services may not function properly if Your cookies are disabled. It is therefore, recommended that You leave the cookies turned on. For instance, if You block or otherwise reject Polyglot Services’s cookies, You will not be able to download any of Polyglot Services’s Content or avail of Polyglot Services’s services that require You to log in. Unless stated otherwise, the Policy applies to all information that Polyglot Services has about You and Your account. By using this Website and the products, content and services provided on the Website, You agree and acknowledge that Your Personal Information collected through the Website may be transferred across national boundaries and stored and processed in any the country around the world. You also acknowledge that in certain countries or with respect to certain activities, the collection, transfer, storage, and processing of Your information may be undertaken by trusted third party vendors or agents of Polyglot Services such as credit card processors, web hosting providers, communication services, and web analytic providers, to help facilitate Polyglot Services in providing certain functions. Polyglot Services may make changes to this Policy, from time to time at Polyglot Services’s sole discretion or on account of changes in law. Polyglot Services will not reduce Your rights under this Policy without Your explicit consent. Polyglot Services may e-mail periodic reminders of the notices and conditions, unless You have instructed Polyglot Services not to, but You should check the Website frequently to see recent changes. Notwithstanding the above, Polyglot Services shall not be required to notify You of any changes made to the Policy. The revised Policy shall be made available on the Website. Your continued use of the Website, following changes to the Policy, will constitute Your acceptance of those changes.